the spirit of East Anglia. Justin Minns is a professional landscape photographer, author and workshop leader specialising in atmospheric images that capture the natural beauty of the landscape, particularly near his home in East Anglia. An experienced workshop leader, Justin has been running 1-2-1 and group workshops in East Anglia for several years as well as running workshops in the area for the National Trust, Forestry Commission and Royal Photographic Society. In addition to the UK workshops he also leads photography tours to locations around the world for Tatra Photography. Author of Photographing East Anglia, a photographers guidebook to the region, Justin also regularly writes for photography magazines. Take a moment to sign up to my email newsletter and be the first to hear about new workshops and my latest work. A selection of my work is available to own in three print options each hand printed and finished using only the finest materials. To order first choose an image from the gallery. A fine art print professionally mounted using snow white textured mount board and framed in a square profile light oak frame. Each print is signed in the white space below the image and supplied ready to hang, all you need to do is choose the image. 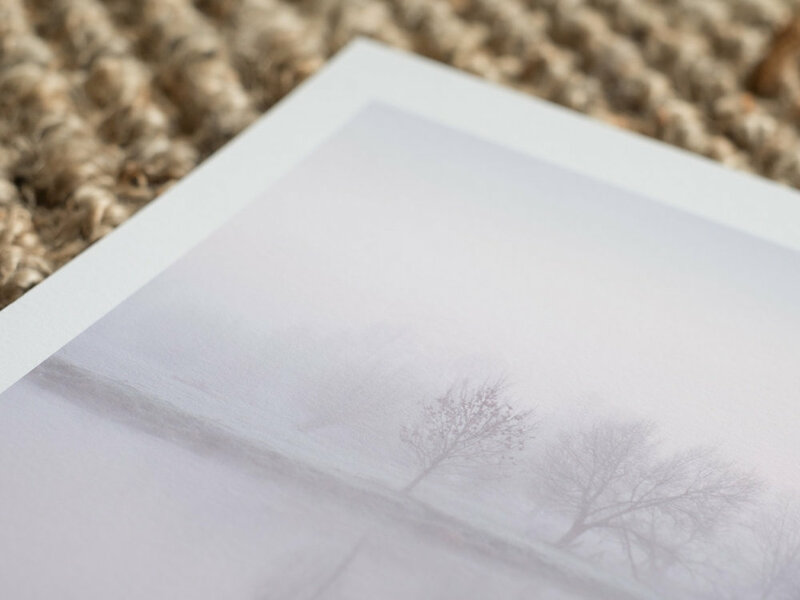 My prints are individually printed using archival inks on a fine art paper chosen to suit the image (Hahnemühle Photo rag, Permajet Portrait white or Fotospeed Platinum baryta). Each print is signed in the white space below the image. My canvas prints are individually printed on 360gsm fine art canvas using archival inks then hand stretched over kiln dried stretcher bars. Before printing, the edges of the image are extended and blurred slightly so that when the print is wrapped around the frame, none of the original is lost from the front. The finished print is protected by a scratch resistant Artshield UV matt laminate and supplied ready to hang. Join me on a landscape photography workshop, whether it be a day in East Anglia or a trip to Iceland, there’s no better way to improve your photography.